Over 100 people visited the Vape Expo that was held at Winnipeg. The first annual expo was organized in Opera Ultra Lounge where vendors set up shops for selling vaporizers and e-juices. According to the vendors, the e-cigarettes market in the city had witnessed a tremendous growth in the recent times. Fat Panda Vapes currently operates from two locations in the city. The owners are planning to set up their next operations at Selkirk soon. 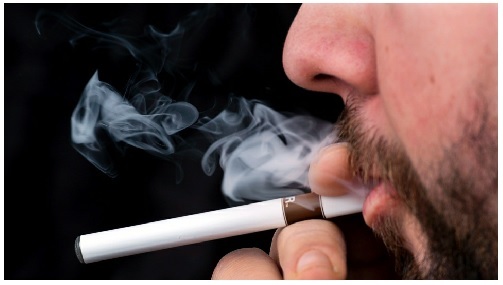 Tracey Cucchini, who heads one of Fat Panda Vapes’ operations, said that two guys who really wanted to give up tobacco cigarettes tried out electronic cigarettes. They soon realized the benefits and decided to help out other people who wanted to quit smoking. It is possible to fill vape electronic cigarettes flavored oils or nicotine and they emit mist or vapor. Josh McLeod who tried a vape electronic cigarette at the Winnipeg Expo said he succeeded in quitting tobacco cigarette smoking in about two years’ time because of e-cigarettes. Cucchini added that vape electronic cigarettes have been introduced in Canada very recently after the market for them picked up well in the United States and Europe. According to Cucchini, the demand for these products is growing fast because many people desperately want to quit smoking. McLeod, a member of the group that meets regularly to vape as well as sell products, said that the group size has grown from 30 to 200. He added that this is a good group that people who are trying hard to give up smoking can be part of. McLeod also said that he started smoking at the age of 13 and that he used the vape electronic cigarettes to get rid of his tobacco smoking habit. According to him, the e-cigarettes have also helped him in reducing the amount of nicotine smoked. However, medical experts continue to remain divided on the subject of safety of e-cigarettes. Further, authorities are not sure as to whether people could be allowed to smoke e-cigarettes indoors.